We’re SO excited to be able to support the life-changing work that SBM is doing in our very own hometown of Dembi Dollo! My work with SBM over last year has had such a great impact on me and it was wonderful to be able to visit my hometown and give back. Olyad (my fiancé's) parents are also from Dembi Dollo. We truly believe that God is going to do Amazing things in this city and we just want to be a part of that. In lieu of traditional wedding favors, we are making a donation of $500 (£350) to SBM instead on behalf of our guests to thank them for their love and support and encouraging them to give as well. We also believe this will be a great opportunity for people in the States to be introduced to SBM projects around the world. 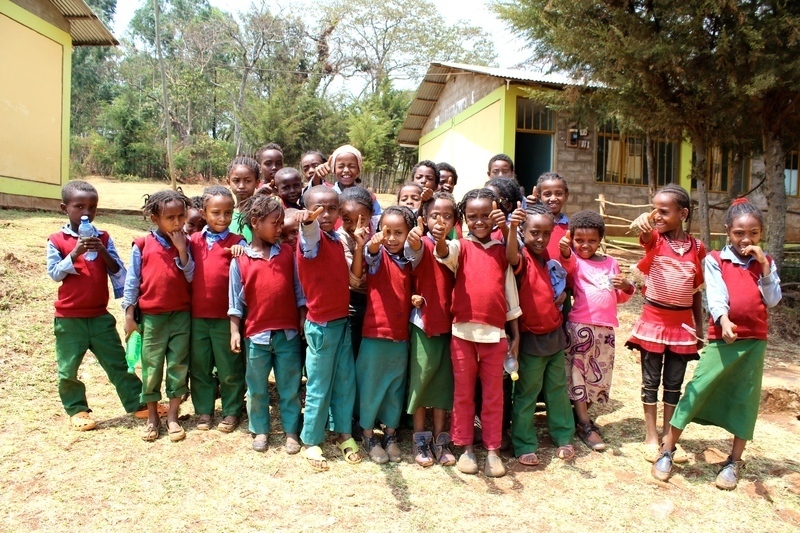 Stand by Me opened the Abdi Academy in Dembi Dollo in 2013, providing 320 children with a good education, hot food, medical care and support from their teachers, as well as reaching out to help their families living in the community.